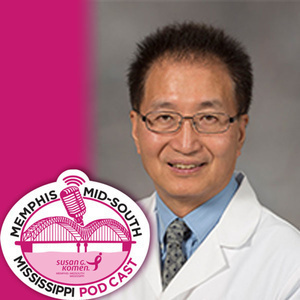 This Pink Podcast features Dr. Shou-Ching Tang, Associate Director of Clinical and Translational Research at the University of Mississippi Cancer Center Institute in Jackson, MS. Dr. Tang is internationally known for his breast cancer research. Since 2013, he has led the Breast Cancer Multidisciplinary Team at Augusta University, has been co-leader of the Breast Cancer Interdisciplinary Translational Research Team, and is leader of the Solid Tumor Clinical Trial Working Group. Dr. Tang also helped found the Breast Cancer International Research Group that seeks to bring more effective therapies to breast cancer patients. Dr. Tang responds to questions from Catherine Young, Sr. Vice President of our Susan G. Komen Memphis MidSouth Mississippi affiliate, and Molly May, author of My Crowning Achievement, and double mastectomy survivor, about the misconceptions of participating in clinical trials, the benefits of clinical trials, as well as a discussion about actual cures for breast cancer. Is there a cure for breast cancer? Listen to what Dr. Tang has to say about present cures for cancer. We think you will be pleasantly surprised. This “Pink Podcast” episode talks with breast cancer survivor, Georgia Brown, who was diagnosed in 2017. Georgia shares her personal story of struggle, survival, and the compassion and strength of friends, family, and her faith. 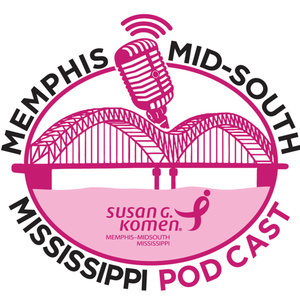 Strength & Support with Cora Beth and Meade Hartfield of "Team Sherry"
In this Pink Podcast episode, Cora Beth and Meade Hartfield share the heart-warming story of their mother Sherry's love, her courage, support from her friends, and her deep faith in Jesus Christ. To the amazement, wonder and gratitude of her daughters, friends, and doctors, Sherry defied the odds and lived five and a half years beyond what was expected. 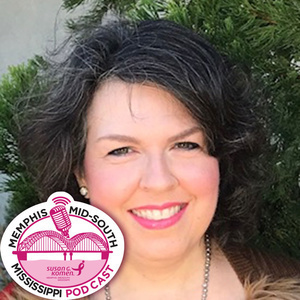 Sherry's daughters remember her today as "Team Sherry" in the Metro Jackson Race for the Cure, coming up April 13, 2019 in downtown Jackson, Mississippi. 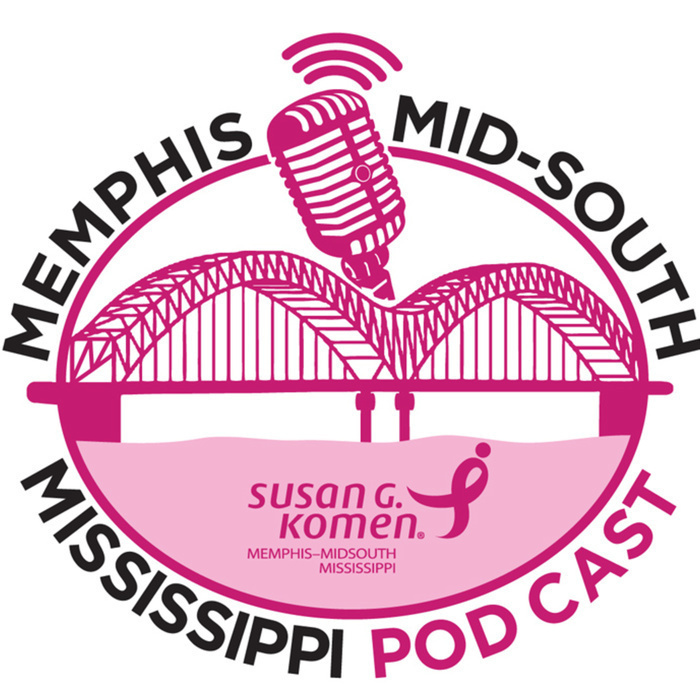 In this episode, we talk with Nancy Goodman Brinker, the founder of the Susan G. Komen Race for the Cure. She describes her work to create sustainable funding to address the health disparities among populations in the U.S.